We are the Five Guys! Our topic this term is Hola Mexico! In this topic, children will be learning about where Mexico is in the world and what can be found there. We will also be looking at different festivals and celebrations that take place in Mexico and we will even be holding our own Fiesta! We will be continuing with the book that we started last half term: 'Cosmic: A giant leap for boy kind'. In Science, we will be looking at materials and their properties. In English, we will be looking at persuasive letters, myths and legends and non-chronological reports. In Maths this term, we will continue to focus on fractions before progressing to decimals and percentages. As part of our Stargazers topic, we were lucky enough to visit the National Space Centre where we found out lots of interesting facts about space and how to become an astronaut. I'm not sure many of the class would still like to become the next Neil Armstrong! 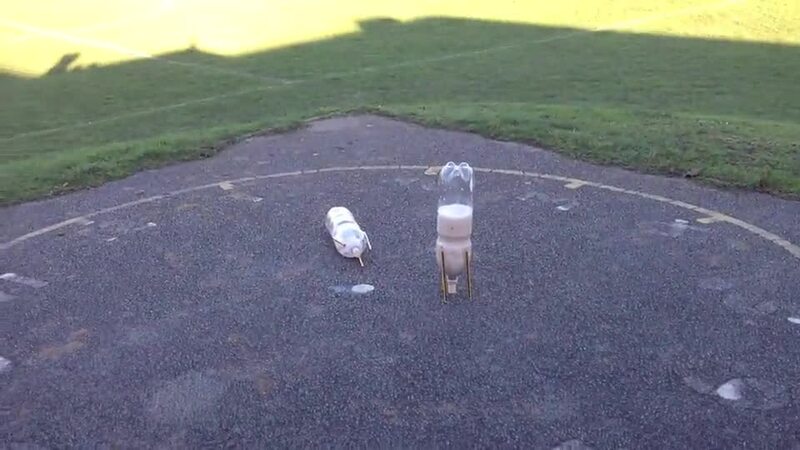 After a few failed attempts, we finally managed to get our rocket to take off using bicarbonate of soda and vinegar. In all of the excitement, our camera man forgot to video rocket in the air but you can clearly see how excited everybody was when it finally worked! Year 5 had their very own wedding! Our topic in RE this term is Life Choices and as part of the topic, the children held their very own wedding ceremony! The children were able to see what happens during a Catholic marriage ceremony and we also included some other traditions such as the first dance, cutting the cake and of course throwing the bouquet! The children all had great fun whilst learning at the same time! Year 5 loved their visit to the allotment! We found out lots of fun facts about different fruits and vegetables and we even managed to bring some homegrown vegetables back to school to make our own soup - yum! In science, we are attempting to clone a geranium through asexual reproduction... we will see how they turn out! In class we have been playing 'Hit the Button which is a times tables game. Click here to play it! Please make sure that children are practicing times tables regularly as they will be tested weekly. Spelling Log (make sure you have practised any words you have logged and understand what they mean). You will need these items with you EVERY DAY! Maths homework will be handed out each week on a Friday to be returned on the following Wednesday. Children will also log six spellings a week that we are learning to practice throughout the week ready for a test at any time! Reading and times tables should be practiced regularly.